Nutritional Therapy promotes the application of nutritional science for optimal health, disease prevention and support in chronic conditions. A nutritional approach to healthcare, needs to be personalised and based on assessment, establishing a full history from birth, and looking at lifestyle patterns, physical signs, dietary factors and wellbeing. I use a functional medicine approach to identify these imbalances and then work to optimise the physiological and emotional systems that underpin your energy, specific to meet your needs, as well as advising you on possible lifestyle changes to enhance your wellbeing. Any nutritional programme will also take into account any medication you are taking and will be tailored appropriately. This is done mainly on a face to face basis in clinic, but may be possible on a home visit or skype, in certain situations. In partnership with you, we will come up with a plan to correct the imbalances found, which may include testing, dietary changes, food or botanical supplements and lifestyle changes, to enable you to have optimum energy and vitality. 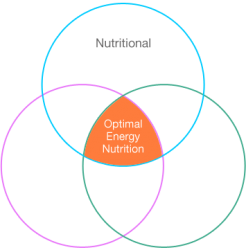 It is important to choose a qualified nutritional therapist who has undertaken all the necessary training to understand the science theory and practice of nutritional therapy. I trained at the world renowned Institute for Optimum Nutrition and won the final year student award for “Outstanding Clinical Practice”. In adhering to high quality standards, I am a member of the British Association for Applied Nutrition and Nutritional Therapy (mBANT) as well as being registered with the government recognised Complimentary and Natural Health Council (CNHC). I am also a qualified Chartered Physiotherapist (MCSP) and have completed a MSc programme in coaching and organisation development.